The Tennessee Department of Environment and Conservation (TDEC) has released for public comment the State of Tennessee’s Proposed Beneficiary Mitigation Plan (proposed BMP) for purposes of implementing the State’s initial allocation under the Volkswagen Diesel Settlement (VW Settlement) Environmental Mitigation Trust (EMT). The proposed BMP is intended to provide the public with insight into the State’s plan for use of the mitigation funds. Specifically, the proposed BMP outlines the Eligible Mitigation Actions (EMAs) or project categories that the State proposes to fund from the State’s initial EMT allocation of $45,759,914.40. To access the proposed BMP, click here: State of Tennessee’s Proposed Beneficiary Mitigation Plan. Additionally, TDEC has recorded a presentation that addresses the various sections of the State’s proposed BMP. A copy of the presentation slide deck may be accessed here. The State’s proposed BMP has been developed in accordance with the terms of the Environmental Mitigation Trust for State Beneficiaries (“State Trust Agreement“). This proposed BMP is not a solicitation for projects. As such, this proposed BMP includes limited detail on the application or project selection processes. Such information will be provided on the TDEC Webpage after the BMP has been finalized. The public is encouraged to review the proposed BMP and submit comments via the public comment form below or via email to TDEC.OEP@tn.gov. The public comment period will remain open for thirty (30) days following the date of the release of the proposed BMP. TDEC will accept comments through 5:00 p.m. CST on August 17, 2018. All comments and input received will be reviewed and considered by TDEC personnel. The BMP will then be finalized, submitted to the Trustee, and released to the public. Link to public comment form. In 2015, Volkswagen (VW) publicly admitted that it had secretly and deliberately installed a defeat device—software designed to cheat emissions tests and deceive federal and state regulators—in approximately 590,000 model year 2009 to 2016 motor vehicles containing 2.0 and 3.0 liter diesel engines. 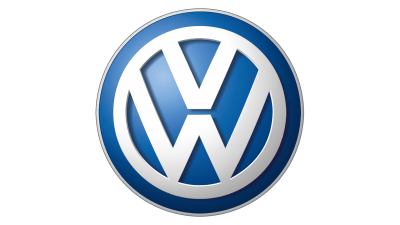 The U.S. Department of Justice filed a complaint against VW, alleging that the company had violated the federal Clean Air Act. $2.9 billion in settlement funds from the resulting 2.0 and 3.0 liter partial settlements with the federal government will be placed into an Environmental Mitigation Trust, which will fund environmental mitigation projects that reduce NOx emissions. Trust funds will be allocated among beneficiaries (states, certain territories, and tribes) based on the number of impacted VW vehicles in their jurisdictions. Tennessee’s initial, combined allocation under the approved 2.0 and 3.0 liter partial settlements is $45,759,914.40. The Tennessee Department of Environment and Conservation (TDEC) has been identified by Governor Bill Haslam as the Lead Agency for purposes of administering Tennessee’s trust allocation. TDEC’s Office of Energy Programs (OEP) is planning to hold a VW Diesel Settlement public information session in Memphis. This meeting will provide an overview of the VW Diesel Settlement, the Environmental Mitigation Trust, TDEC’s process for developing a proposed Beneficiary Mitigation Plan for Tennessee, and an overview of the types of eligible mitigation actions that can be funded by Tennessee’s Environmental Mitigation Trust allocation. This public information session will be free and open to the public. Please note that registration is required due to space restrictions. Should there be additional demand and interest, TDEC OEP will coordinate and host additional meetings in other locations throughout the State. November 17, 1:30 pm – 3pm Central-Memphis Public Library, 3030 Poplar Ave., Memphis, TN: Register here.